The ongoing Greek crisis has been the subject of immense scholarly interest and debate since it erupted in 2009. 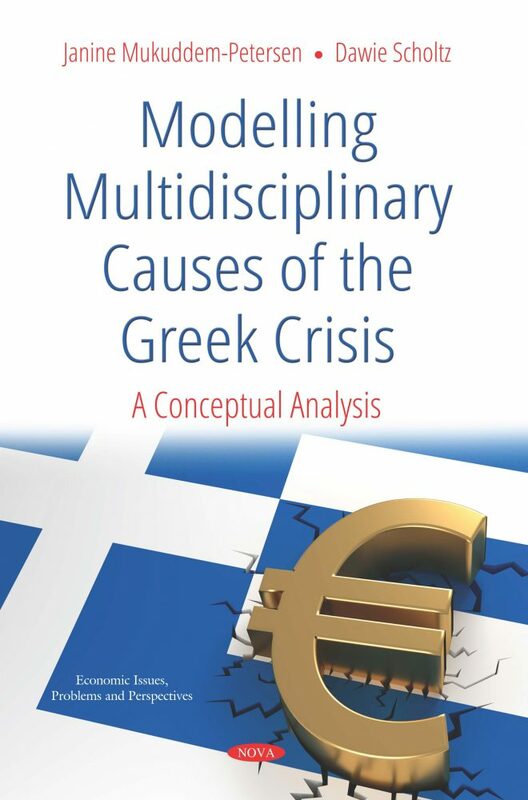 Vast amounts of research from a number of disciplines have attempted to explain the causes of the crisis, with a great variety of approaches adopted in doing so. Unfortunately, there has been little effort to develop a comprehensive cross-disciplinary framework for understanding how the crisis came about. This study has ‘bridged the divide’ by developing such a cross-disciplinary conceptual model for the causes of the Greek crisis. The literature review process revealed that studies from the political science, public administration, economics, financial economics and monetary economics disciplines contained a range of explanations for the occurrence of the Greek crisis. Qualitative content analysis techniques were used to synthesise the findings from these five fields into a cross-disciplinary conceptual model.